Home»Connect»Marys River Blog»Where is Lamprey Creek? Representatives of OSU, Corvallis Sustainability Coalition’s Water Action Team, Marys River Watershed Council and local non-profit Freshwaters Illustrated have teamed together to name an unnamed tribut ary to Oak Creek. The creek, just over 3 miles long,flows through Martin Luther King, Jr. Park and along Walnut Boulevard before it meets up with Oak Creek near Harrison Boulevard and 53rd Street. A creek without a name usually gets little respect. This system is home to native fish including cutthroat trout and lamprey. 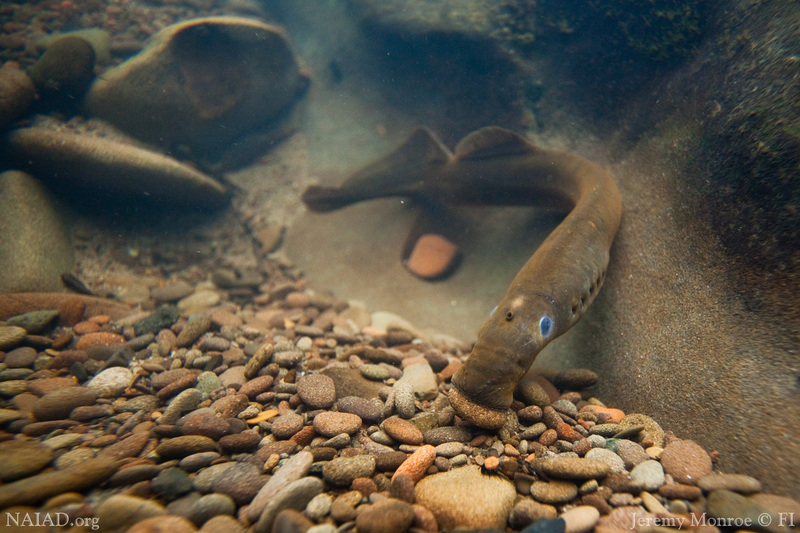 Pacific lamprey are a culturally important species to Northwest tribes, who have been working to highlight the downward spiral of lamprey abundance and restore vital habitat. 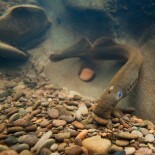 Believe it or not, there is no other “Lamprey Creek” in the United States! The preliminary naming proposal has garnered letters of support from Oregon State University, Columbia Intertribal Fish Commission, Native Fish Society, Marys Peak Group of the Sierra Club, and the Skyline West Neighborhood Association. The next step is review by the Oregon Geographic Naming Board of the Oregon Historical Society, at their June 2015 meeting.